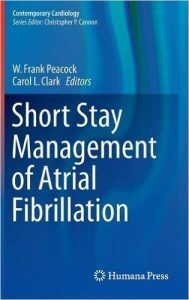 This book provides a road map for the efficient and successful management of atrial fibrillation (AF) in the short stay unit. It describes the problem, defines the measures of successful treatment, elucidates interventions, and supplies the tools for achieving quality care. Organized in four parts, it covers the impact of AF on patient populations; the presentation and management of AF; the transition to the outpatient environment; and systems management. Topics include the economic consequences of AF; cardioversion and cardiac implantable electronic devices in AF management; education of the AF patient and discharge planning; and quality metrics in AF. The book also provides order sheets and process criteria with which institutions can successfully manage the AF patient in the short stay unit, thus optimizing patient outcomes, patient satisfaction, and operational efficiencies. 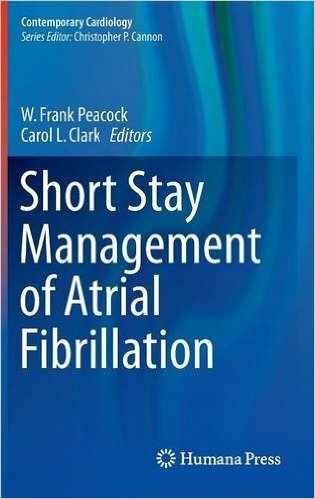 Short Stay Management of Atrial Fibrillation is a valuable resource for cardiologists, emergency medicine physicians, electrophysiologists, and other healthcare professionals involved in AF management.